Kara was a highly respected community member and the volunteer team manager of the Carry the Kettle Novice lacrosse team in 2007 and 2008. She was employed as an enthusiastic educational assistant at Carry the Kettle School. Kara was a parent of two younger children at the time, Kenton (3) and Kendra (6). 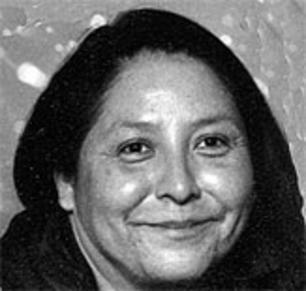 She was fearlessly committed to her children, traditional Nakoda culture and the community. Kara volunteered because she believed that team sports would help to make the children, families and community stronger. She exhibited a positive and caring nature while performing her duties as manager and team driver. Kara was killed in the school van driving the lacrosse players home from the Al Ritchie Arena. On a grid road, close to the reserve, a car ran a stop-sign striking the van, killing her and injuring a number of the players. In honour to Kara the QCMBL still recognizes her contributions to lacrosse by awarding the Kara Thompson Memorial Trophy in the Novice division.